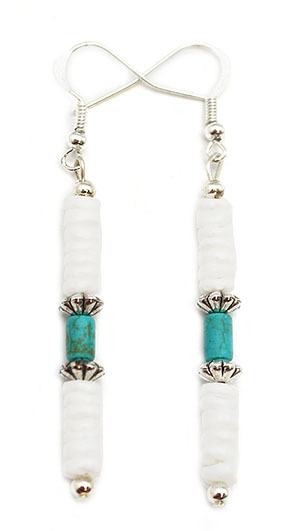 White clam shell and a magnasite tube bead along with silver plated beads make up this earring. It measures approximately 2 1/2" long including silver plated wire by 1/4" wide at silver plated bead. It is Navajo hand crafted by Sandra Francisco.